california road trip, new fine art landscape photographs. California Road trip. 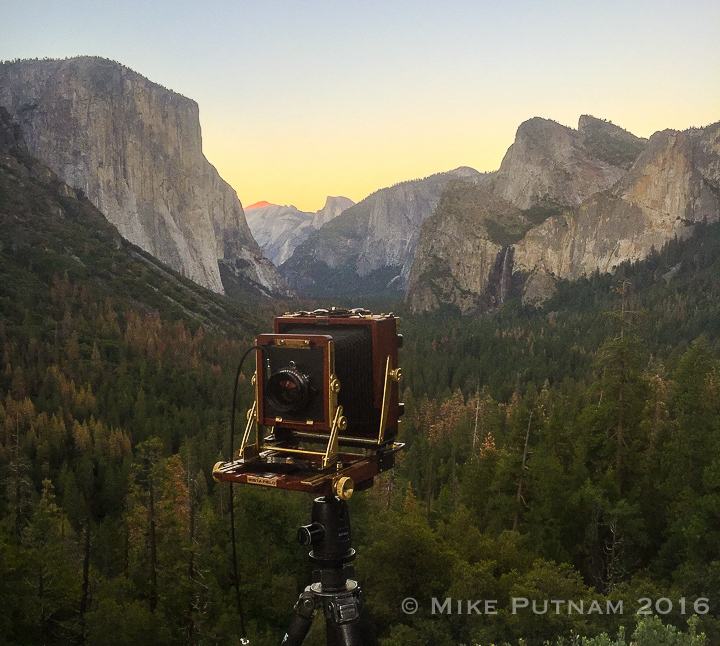 I am often asked by friends where I’ve been traveling for landscape photography purposes. They are often surprised that I rarely leave Central Oregon and virtually never leave the boundaries of my home state of Oregon. I live in downtown Bend, not far from this location along the banks of Mirror Pond in Bend’s Drake Park, Bend Oregon photo. I love it there! It is beautiful and there are countless natural areas in the Bend, Oregon area that are more than photo worthy. Compound my home body tendencies with soccer dad necessities and my passion for local scenery is better understood. My wonderful wife is extremely busy with her work-life. She’s a veterinarian(so am I, believe it or not!) and an owner of Riverside Animal Hospital which is also located near our home on the Westside of Bend. Her chaotic work schedule means that I am often the primary parent for our amazing daughter, Emma, who is often in need of chauffeur services. As a competitive soccer player and honor student, she too is remarkably busy. As I’m self-employed, I have the latitude to shuttle Emma to and fro. Don’t get me wrong, I love being a soccer dad. I played soccer in college( Go Kenyon Lords!) and Emma and I have spent thousands of hours practicing soccer together over the years. Watching her play makes me more proud than I could ever have imagined. My life-balance of soccer-Dad and Landscape photographer is fantastic but I need to focus on photographic opportunities in any time window that I can find. 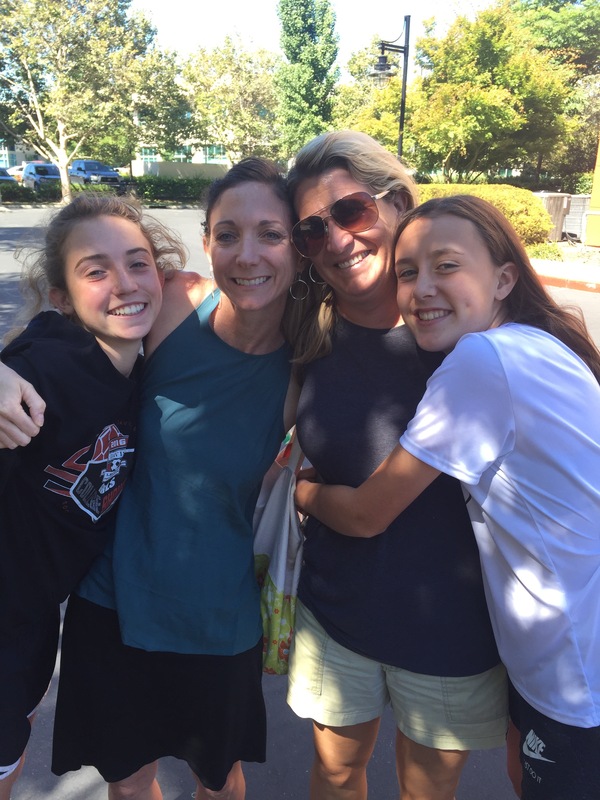 In the summer of 2016, Emma’s club soccer team was scheduled to play in a tournament in Davis, California and the idea for a California Road Trip was hatched. Soccer Moms and Soccer Daughters! I knew time on the trip would be limited , so I tried to work in a couple of California Landscape Photography opportunities balanced out with what my traveling companions , Emma and her friend, Zoe, wanted. 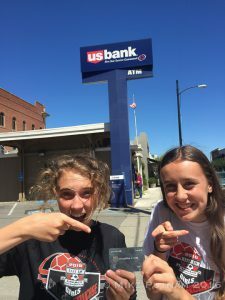 The girls over-achieved in their soccer tournament, advancing to the playoff round of the tournament, despite playing up an age group against some of the top 100 ranked teams in the US. The photo to the right shows some of my favorite women immediately before the departure for our adventure, my daughter, Emma, my wife, Debbie, Our wonderful friend, Chanda, and her daughter, Zoe. Chanda and Rocco entrusted Zoe with Emma and I which, when I think about it, is pretty flattering. Granted, Zoe is not your average friend to our family, she is something akin to a favorite cousin and a second daughter. Me and the girls headed almost due south towards Yosemite National Park with the intention of shooting sunset From the famed Tunnel View overlook. After driving for 2.5 hours, we stopped for gas and much to my chagrin, I could not find my credit card. Yikes! Evidently, after I paid for lunch, 2.5 hours earlier,my credit card ended up in my wife’s purse. There was no simple resolution, so, Debbie left my credit card at a bank in Willows, California( shout out to the nice women who work there, they were life-savers). We drove north/backwards for 3 hours to Willows. The photo to the left show Emma, Zoe and my newly recovered credit card in downtown Willows, California. Prior to my credit card snafu, we were going to have lots of extra time to explore the Yosemite Valley, after the snafu, I knew the timing would be tight. I drove hard while the girls slumbered deeply, a reoccurring theme during our trip! We narrowly avoided a bad highway accident that involved multiple cars flipping into oncoming lanes. Perhaps gladly, the girls slept through the whole near-miss! We arrived in Yosemite National Park not long before sunset, we got our bearings and quickly headed to the Tunnel View overlook, our chosen shooting location for the evening. Yosemite National Park is no Secret! The Tunnel View overlook was crowded! I quickly composed the scene while dozens of tourists looked on in disbelief. Fortunately, Emma and Zoe served as my marketing directors, answering question, distributing brochures and taking pictures of tourists while they posed with my 4×5 camera. 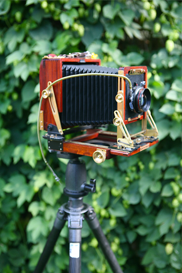 All of my fine art landscape photographs are captured with my 4×5 film camera pictured in the photo to the right. I’m not sure how many times I said,”Yep, this is the same type of camera Ansel Adams used in this very same location”. 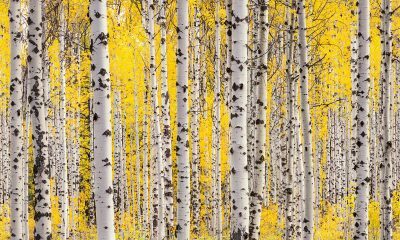 There was something magical about shooting from a location that Ansel, through his photography, helped protect for posterity. Pretty Cool! 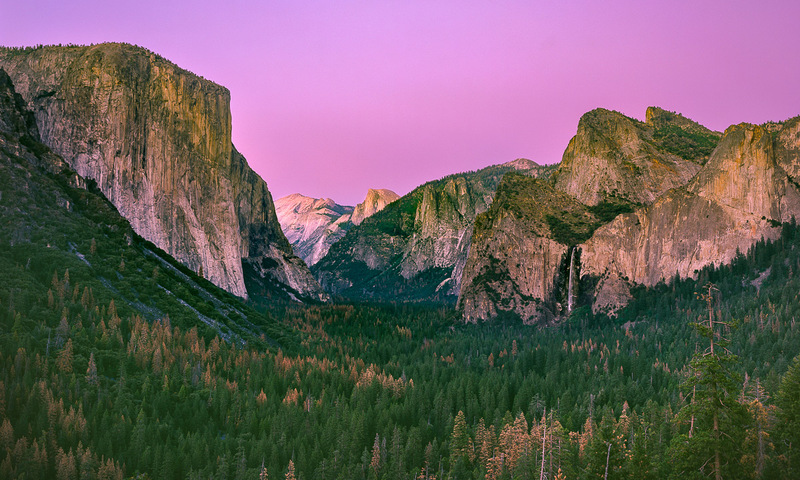 For more info about my newest print, visit Yosemite National Park fine art photograph. While I exclusively shot with my beloved 4×5 camera, the girls went wild with their iPhones. I focused on the Yosemite Valley you see above, featuring El Capitan, Half Dome, Cathedral Rocks, and Bridal Veil Falls. The girls focused a bit more on ….selfies! After our wildfire enlivened sunset in Yosemite, we left in the dark while gaping in awe at the vertical faces that rose thousands of feet above the valley floor. We spent the next night in the small town of Mariposa, just outside of Yosemite. The next morning, it was back on the road. No California road trip would be complete with out a visit to the beach. We made a bee-line for the Big Sur Coast. I knew the girls wanted to spend as much time as possible during our California road trip in the Big Sur area , which was fine with me… it was beautiful. One of our favorite stops along the California Coast was at the McWay Falls viewpoint in Julia Pfeiffer State Park, Big Sur. It was stunning and …crowded. I don’t mean to harp on the California crowds. We live in Oregon which is seeing an influx of new residents from California and I think the congestion in California is a primary reason for their re-location. I don’t blame them. While we found no solitude in Julia Pfeiffer State Park, the setting was stunning. 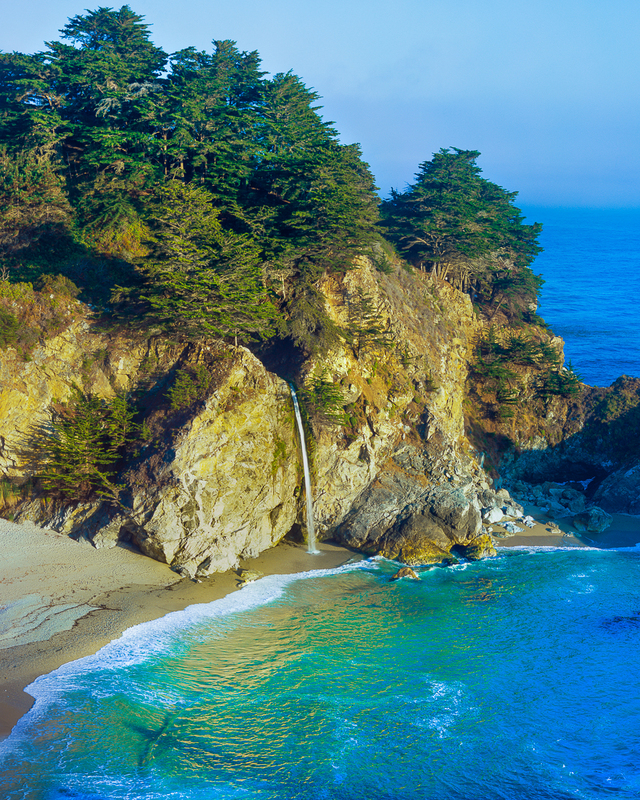 McWay Falls plummets 80 feet, directly onto the beach in Julia Pfeiffer cove. The stunning turquoise color of the cove is my favorite part of this new California Landscape photograph. I am offering both vertical( shown above) and horizontally oriented fine art prints of this beautiful location along California’s Big Sur Coast. in this Vertical photo of McWay Falls, I love the intimate feeling of the image, the glowing reflected light beneath the falls and the wonderful color and luminosity of the water in the cove. The next morning we were off to beautiful Carmel, California for a day of beach time and shopping, a teenage girl’s dream. While I’m more of a mountain guy than a beach guy, Carmel was beautiful and quaint. The level of opulence was quite stunning. In terms of shopping, I could be happy with nothing more than a Patagonia Store, a grocery store and a sporting goods store. My travel companions…like to shop. It must be an X vs. Y chromosomal issue. 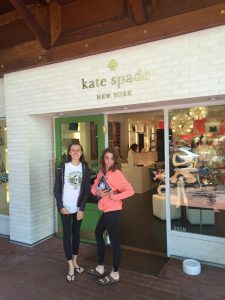 The girls were giddy with each high-end boutique they discovered and they all looked the same to me. I did find some impressive art galleries and we had a good lunch. The next stop on our California Road Trip was academically oriented. 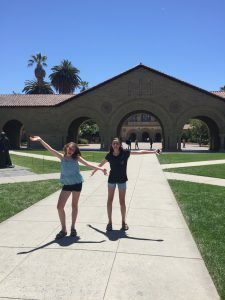 The next stop on our California road trip, Stanford University, Palo Alto, California. A special thanks to my friends, Chooch, David Laws and Scott Witscher. Chooch and David both are Stanford alumni while Scott grew up in the town of Palo Alto. All of them rave about the town and the school. Stanford has the reputation of being one of the best academic universities int he world and Stanford’s campus did not disappoint. The architecture was stunning, the scale of the campus was impressive, and the athletic facilities were amazing. 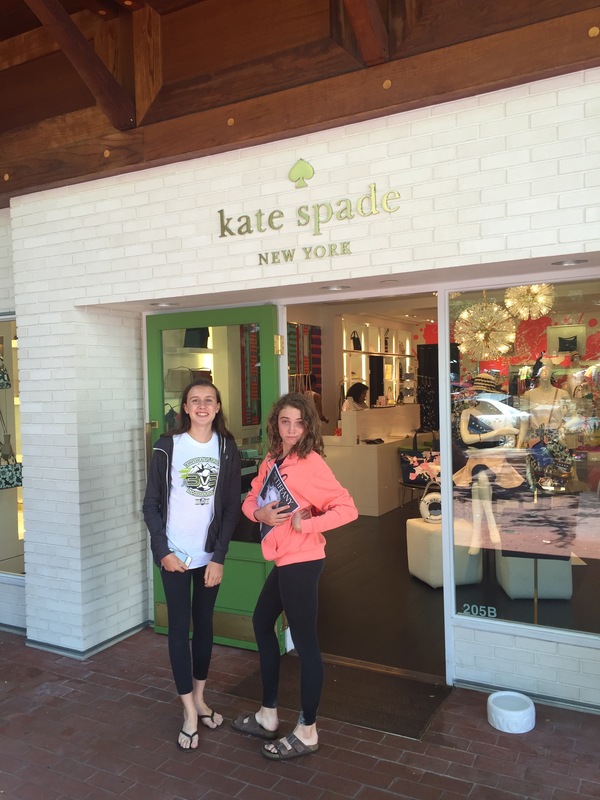 The accessibility was pleasant and the girls loved the gift shop! I honestly believe that our visit offered some future academic motivation for Emma and Zoe who are both already honor roll students. I’ve told the following tidbit to many former Bay Area residents and I’m usually interrupted by a knowing giggle about half way through the story. We left Palo Alto and the Stanford campus at about 3PM. Siri routed us north on Highway 101 to Highway 80 and the Bay Bridge. Just South of the Bay Bridge, traffic slowed considerably and then stopped. Stopped! Between 3:45 and 4:45 we traveled exactly 1 mile! I had made an enormous “country mouse in the big city error”. We never found a lane closure, accident, construction. No extenuating circumstances whatsoever. I cannot imagine tolerating that kind of traffic on a daily basis. It is mind -boggling to me. That night we drove Northeast out of the Bay area and stayed in the pleasant but unremarkable town of Fairfield. The last notable stop on our California Road trip was at the famed, “Olive Pit” in Corning, California where the girls gorged themselves on every imaginable type of olive known to man. California is really big! Oregon is not a small state but California is huge. We drove hours each day and never made it any further south than Carmel and Big Sur. California is beautiful. Yosemite Valley is quite simply one of the most visually stunning places I’ve ever seen. Big Sur while also very attractive was not as stunning to me. 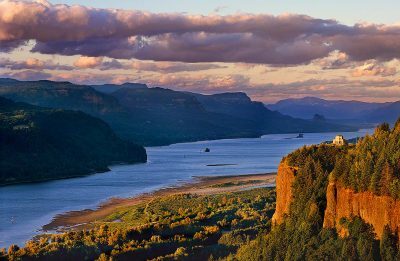 The Oregon coast is every bit as beautiful as California’s but Oregon has no equal for the Yosemite Valley. The Traffic is horrendous. Not just during our Bay area adventure but virtually everywhere we went, the traffic was worse than anything I ever experience in Central Oregon. Stanford is stunning and lived up to its reputation. The people were friendly. This is not stated as a surprise, just an observation. I guess I was assuming that the stress of hectic lifestyle would make residents surly. Not the case. There are a LOT of people in California. Granted, we visited Yosemite Valley and Big Sur, burt, wow. We traveled entirely on weekdays. I cannot imagine how much congestion there would be on a weekend. The Food was quite good. In Bend, we have excellent food but California did not disappoint. My traveling companions, Emma and Zoe are awesome! Awesome! They are smart, funny, tolerant, and they were game for any adventure. I could not imagine better traveling buddies.